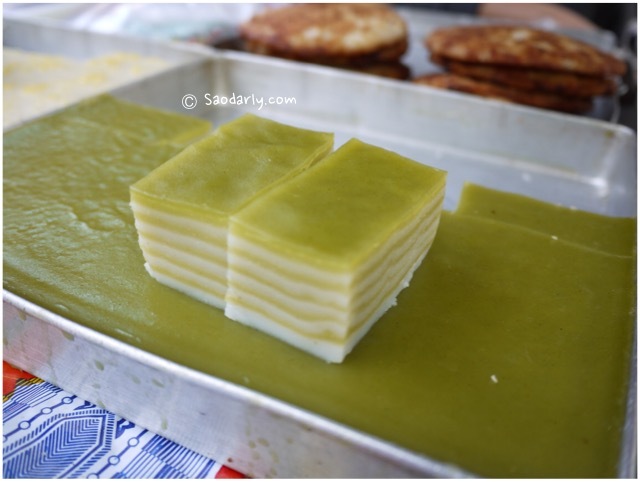 Pandan layered dessert (Kanom Chun; ເຂົ້າຫມົມຊັ້ນ) for sale at the Morning Market in Luang Prabang, Laos. I bought a few pieces of the Kanom Chun to satisfy my sweet tooth. 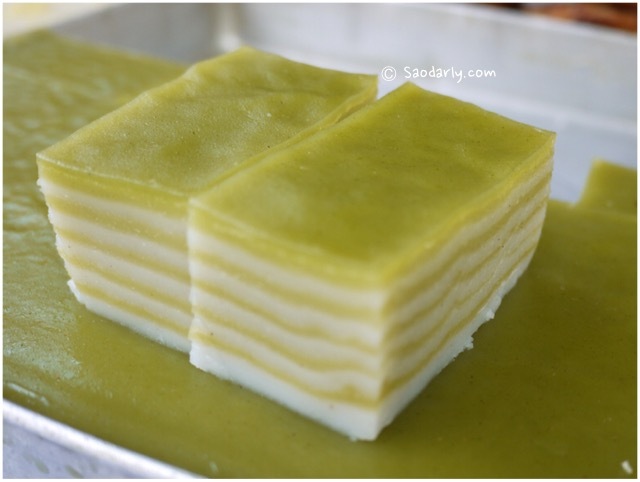 It’s quite difficult to find this sweet treat or dessert made with pandan leaves where I am living currently in Holland. Kanom Chun is my second favorite sweet or dessert next to Nam Varn Lodchong. My two aunts from Pakse refer to this dessert as Khao Pard Chun (ເຂົ້າປາດຊັ້ນ). 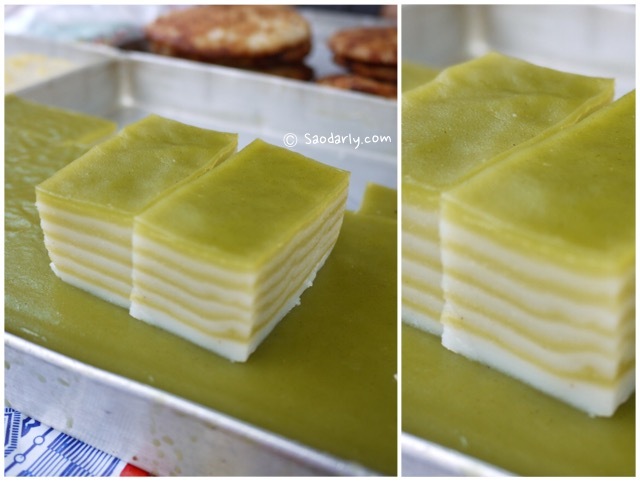 When I go to Laos, I try to eat this dessert once or twice for a couple of bites since I don’t want to get fat.